Freeman Mathis & Gary, LLP is a leading litigation firm, with over 150 attorneys nationally in 15 offices in eight states. FMG serves clients through its practice sections in Appellate Advocacy, Commercial Litigation/Directors & Officers, Construction & Design Law, Data Security, Privacy & Technology, Financial Services and Banking, Government Law, Insurance Coverage and Extra-Contractual Liability, Labor and Employment, Professional Liability/Errors and Omissions and Tort & Catastrophic Loss. 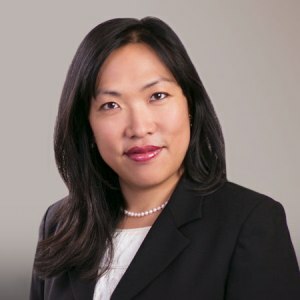 Christine Lee is a partner in Freeman, Mathis & Gary’s Marin office. Ms. Lee has been practicing civil litigation in San Francisco for over 12 years. She has represented individuals and businesses in numerous lawsuits throughout Northern and Central California through all phases of litigation including through jury trial as lead attorney. Ms. Lee has also participated in dozens of mediations, arbitrations, and other forms of alternative dispute resolution.